Twice I’ve had the opportunity to participate in Darcy Pattison’s Novel Metamorphosis retreat. Although I gained a lot of great tips and information, and have revised several novels via the NOVEL METAMORPHOSIS workbook, one thing in particular that Darcy talked about blew me away. At the 2006 retreat, she walked us through how she word-smithed her picture book, 19 GIRLS AND ME. She talked about word choices involving more than just moving the characters through the plot. She considered hard and soft consonants, and analyzed where sounds were physically created in the mouth, so that the plot and emotional arc could be fine-tuned even further. As someone who came from a just-the-facts journalism and marketing background, looking at words at this level was a revelation to me. So when endlessly revising the poem that became the book TWO BY TWO, I remembered Darcy’s talk. And took that little poem to a whole new level. This opening stanza is followed by another staid stanza setting up the journey. These first two stanzas’ precise meter reflects the beginning of the ark’s journey when Noah’s in charge. But then the monkeys take over and I change the meter. The first word in this next section is the verb “scamper,” which also brings home the notion that the monkeys are mischievous scamps. In this section, my word choices included “Anaconda limbo” for the repeating a and o which makes your tongue wiggle as if it’s limbo-ing, touching the roof of your mouth repeatedly. Plus the o ending on “limbo” leaves the mouth open, functioning as a sort of questioning or surprised sound. Similarly the “ou” ending on caribou leaves the reader’s mouth open. 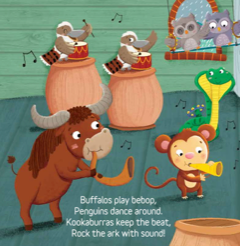 Near the end when the animals are leaving the ark, is the line “Tall and small zoom past.” This started as “Big and small,” went through “Small and tall” which has the nice internal rhyme, and then ended as “Tall and small” because the initial t starts it off with a crisp sound which launches the softer sounds that come after it. Plus since the line ends with “past,” the two t sounds bracket the line, nice and crisp to show none of the animals were dawdling. Oh, and the key thing I learned from Darcy? It’s this: The final sentence and especially the final word choices will linger in the reader’s brain, so end on a hard consonant. It’s rare that you get to reach out to a teacher who’s made a difference in your life. It’s been fun to write this blog post about Darcy (I can feel her blushing all the way in Atlanta) and how important she’s been to my writing journey. Darcy, without your incisive, thoughtful, comprehensive teaching, I wouldn’t have my first published book. Although Lisa Lowe Stauffer secretly longed to write fiction, first she had to write her way though journalism, marketing, consulting, and travel writing. When she’s not writing, she enjoys traveling, in part because all those hours waiting at the airport are a great excuse to read more books. Publication of TWO BY TWO (Zonderkidz, July 2018) finally fulfills her childhood wish for a pet monkey . . . at least in print. Learn more at http://lisalowestauffer.com. 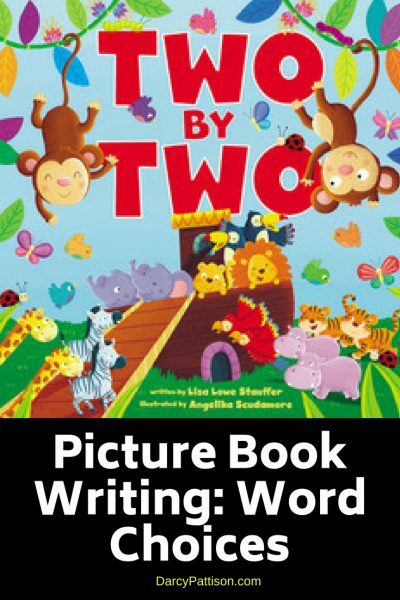 WANT TO LEARN MORE ABOUT WRITING PICTURE BOOKS? CLICK HERE FOR MORE INFO. 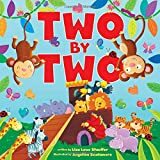 The post Word Choices for Picture Books: Two by Two by Wordsmith Lisa Stauffer appeared first on Fiction Notes.